Let me extend to you my personal welcome to our AutismOne Social Network. 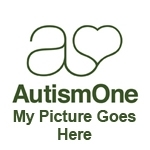 AutismOne is now the “one-stop-shopping center” for information about autism. We have the annual conference in Chicago, AutismOne radio, the Elizabeth Birt Center for Autism Law and Advocacy and now the AutismOne Social Network (and more to come). I notice that you’ve not made any entries into your profile. Remember, this is a social network. Part of the function of a social network is to meet and interact with others who have common interests. Of course autism is a common interest. But there is more than that. Individuals like to know about a person before becoming a “friend.” That’s where the profile comes in. So whenever you can find the time, please fill in some of the entries of your profile. To do that just click on “My User Menu” next to the Welcome area on the right. From the resulting menu click on “Edit My Profile” and you will be in business. Helping you interact with others is one of the many things we can do for you. Now here’s something you can do for us. Log in on a regular basis and read the blogs and articles then write a blog yourself. It can be on any subject of interest to you, preferably with some relevance to autism but not necessarily. It can be short or long, whatever it takes for you to express your thoughts. If you have a question then ask it in a blog--people read then they respond. If you see something with which you agree or disagree then please add a comment with your thoughts. This is an open community designed to help and support. We like to hear all sides. I am looking forward to reading your opinions in future blogs and/or articles. I have four children two are persons with developmental disabilities, Autism. They have taught me too much to put in this space. In the fall of 2006 I had been diagnosed with cervical cancer. It made me prioritize things in our life differently. When I went under the knife I prayed that I could live to document the milestones and achievements my children had made so they would always have a written record. I did write a book: " How Big is the Fly? Asking the Right Questions".They have done far more things than the professionals had told me were possible. I never told them they were limited in any way. In fact if you ever ask my children on the Autism spectrum what Autism means they will tell you: " Autism means I learn the same thing everyone else learns, just in a different way!". They beat all of the "never will be able to's" I had been told.